Herbal teas have many health and beauty benefits. If you are looking for an alternative to drinking coffee, tea would be a great alternative. The scent and flavour of lavender are wonderful and makes for a soothing elixir, but the bonus comes from its wide range of health benefits. 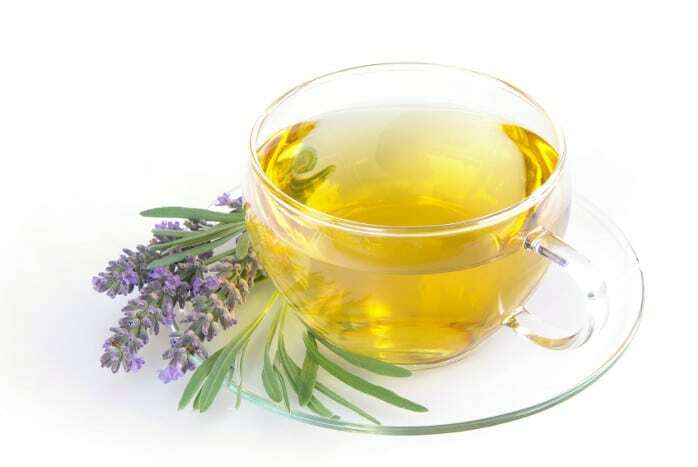 Lavender tea is especially known to sooth people who are suffering from anxiety and chronic stress. Lavender has active components which stimulate some neurotransmitters in your brain that offset the raging stress hormones within your body. This helps to make you calm and prevents mental exhaustion. Put some water in a kettle and bring it to boil. Add some honey, stir it up and enjoy! This tea will help you relax and aid in digestion. Drink it after dinner or just before retiring to bed.